When the installation is complete we are still there when you need us. 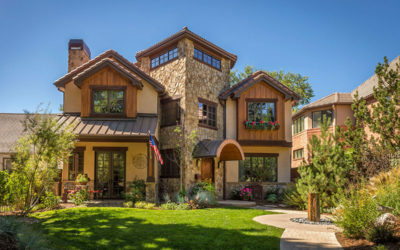 Welcome to Denver Landscapes! We’re master craftsmen of high-quality landscapes, and we’re ones to call when you want attention to detail and quality in construction. We’re also your one-stop-shop for all of your landscaping and plant health care needs. We take care of all of the details of your landscape project—from design, to pulling permits, to organizing crews, hiring and managing subcontractors, and putting on all of the finishing touches. You can rest assured you’re hiring one of the region’s top five landscape architecture firms in the Denver Metro area. So, take a look around our website and see what tickles your fancy. When you’re ready to move forward with your landscape project; make sure you give us a call. Shane and the Denver Landscapes crew did a great job with our front yard redesign. He was on time and asked lots of questions to make sure his team delivered what we expected. He would offer recommendations as the project progressed, giving my wife and I options if they encountered obstacles. I would recommend Shane to anyone needing great, creative landscaping! Our talented landscape designers and installation teams are passionate about crafting every project to the highest standard of quality. 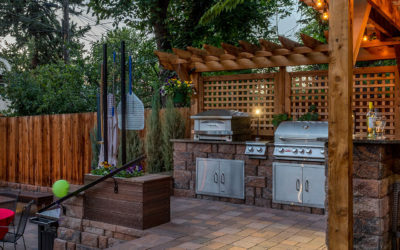 Let Denver Landscapes architecture & construction team take care of the details while making your landscaping ideas a reality. 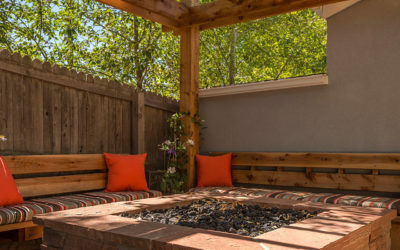 We include attention to detail which result in unique outdoor spaces that define stylish outdoor living in the Denver metro area. Our Denver Landscapes design team is well versed in custom amenities and finding solutions to challenging projects. Denver Landscapes design & construction has been mindful of green industry practices long before environmental sustainability became buzzwords. The combination of appropriate landscape design and the use of sustainable products keep us at the fore front of Colorado landscaping. We utilize thoughtful recycling solutions to reduce waste and practice ecological landscaping methods that are less harmful to the environment. Even after installation is complete our team of certified landscape professionals are there when you need us. We have learned that some of the success from a project is in its beauty years after the installation. Healthy vegetation, thoughtfully positioned outdoor lighting, and exquisite patio decks make a positive first and lasting impression. Properly serviced irrigation systems and water features run more efficiently saving money in the long term.